Diabetes has been described as the silent pandemic with 280 Australians developing the disease every day. That’s one person every five minutes. About 1.7 million Australians have diabetes. – including all types of diagnosed diabetes (1.2 million known and registered) as well as silent, undiagnosed type 2 diabetes (up to 500,000 estimated). If you include those with pre-diabetes, the total number of Australians with diabetes and pre-diabetes is estimated at 3.2 million. However, up to 58 per cent of cases of type 2 can be prevented and we know that good blood glucose control and maintaining a healthy lifestyle can significantly improve the complications associated with diabetes. Pharmacies providing blood glucose testing play an important role in diabetes screening and management. The importance of blood glucose control is critical in diabetes. When someone has diabetes, their body can’t maintain healthy levels of glucose in the blood and the tests can screen for these levels. When people with diabetes eat glucose, which is in foods such as breads, cereals, fruit and starchy vegetables, legumes, milk, yoghurt and sweets, it can’t be converted into energy. Instead of being turned into energy the glucose stays in the blood resulting in high blood glucose levels. Weight management is also an essential part of diabetes management. And put simply, the cause of being overweight or obese is too much energy in, and too little energy out. That is too much food, too little exercise. In fact, the underlying cause of obesity is much more complex, but the resulting problems of obesity are well known: not only type 2 diabetes, but also cardiovascular (heart and blood vessel) disease, social exclusion and low self-esteem. You can also ask your pharmacist if you are eligible for a Diabetes MedsCheck. 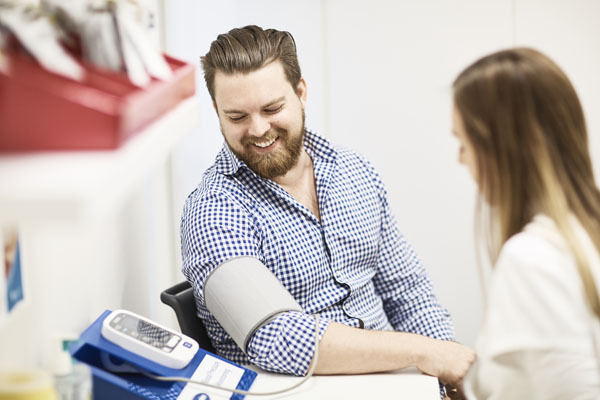 During a Diabetes MedsCheck your pharmacist will have an individual consultation with you and discuss how to get the best out of your medicines, use of your blood sugar monitor and equip you to effectively manage your diabetes. Your pharmacy may offer a range of additional diabetes services including access to educational speakers, diabetes educators and dieticians, or even walking groups. 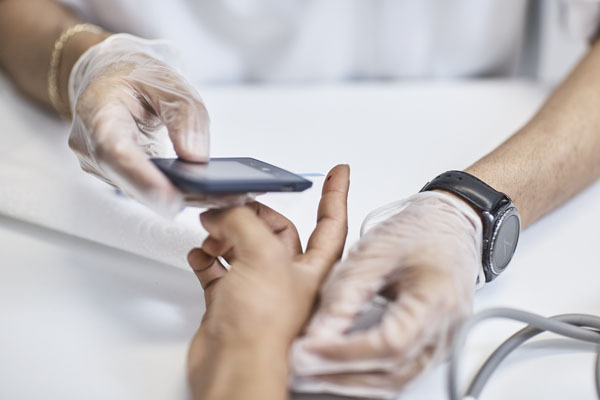 Self-blood glucose monitoring allows you to check your blood glucose levels as often as you need to or as recommended by your Diabetes Educator.